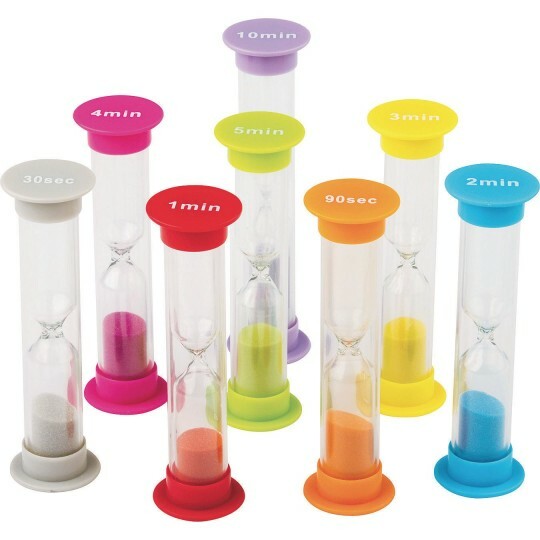 These are durable plastic timers with colored sand. Includes 1 each of 30 sec, 90 sec, 1 min, 2 min, 3 min, 4 min, 5 min, and 10 min timers. Each timer measures 1” x 3-1/2”.